It’s starting to get cold in our house and if you have an old house like ours, door draft stoppers can make a big difference on your heating bill. A few months ago I was on the hunt for a good tutorial to make some of these draft stoppers and couldn’t find any online that were shaped like a cylinder. I prefer the cylinder shape to the plain rectangle ones because I think they work better. They also look neater on the bottom of the doors. These are very quick and easy to make. It is the perfect functional and decorative project to make for your home this winter season. 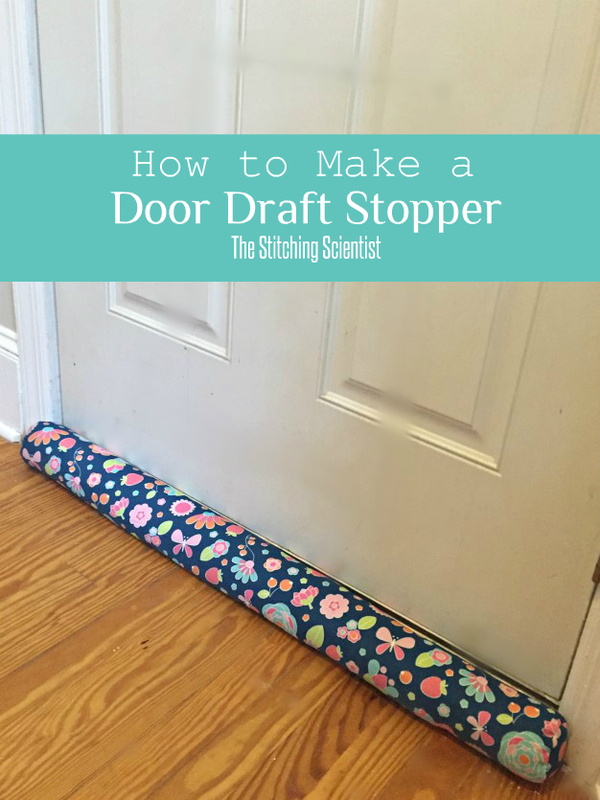 Hope you enjoy this tutorial on how to make a door draft stopper. This project ended up costing me about $3 to make. That cost includes the filler (cat litter) and the fabric. Can’t beat that! I decided to do a template for the circle that makes up the cylinder since it can be hard to find something at home that works. Simply cut out the template, cut out the fabric and sew. 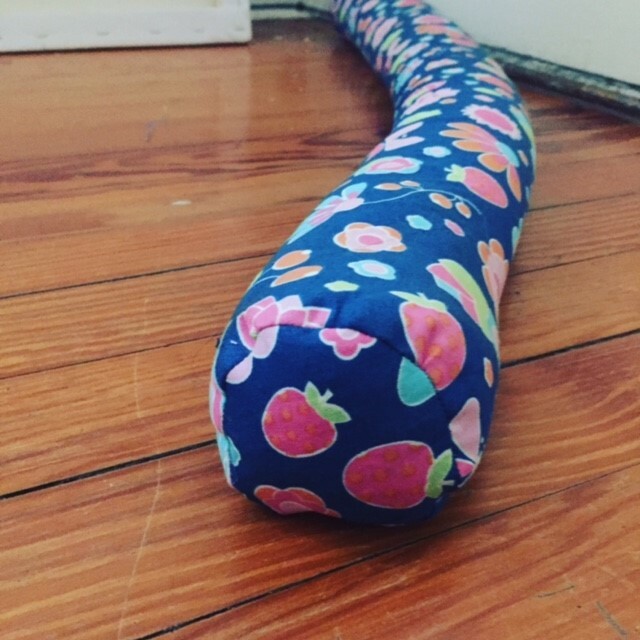 I had my daughter help me with this project. She enjoyed filling it. It also makes for the perfect Christmas gift to show off your DIY skills. Click HERE to DOWNLOAD the FREE PATTERN and TUTORIAL.